Spring is here and with that means it’s time to start cleaning! I already have the Spring cleaning bug and have purged out my closet. Now I’m making my way around my home. 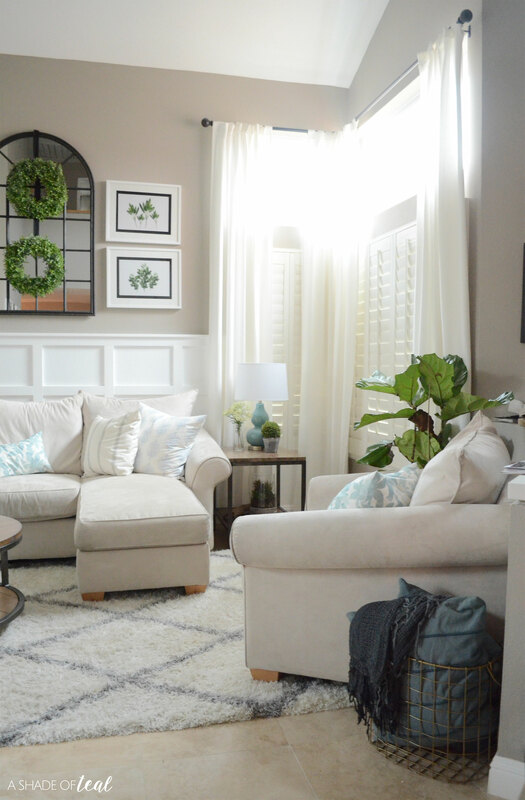 One area I haven’t touched is my curtains in my living room. They’ve been up for about a year & an half and its about time I cleaned them! 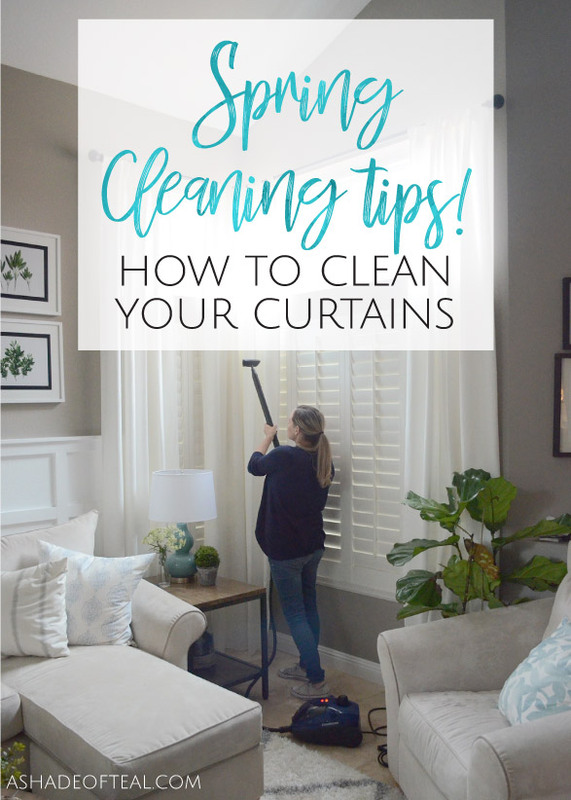 So read on to see how I clean my curtains. When it comes to cleaning any fabric or upholstery you need to take into consideration the fabric content. My curtains are 100% Cotton so cleaning is pretty easy. I could throw them in the washer machine, but I don’t want to risk any shrinkage. So to clean my curtains I’m using my SteamMachine from HomeRight. I absolutely love my HomeRight SteamMachine and I seem to be using it for everything lately. So here’s how to steam clean your curtains. After you get out your SteamMachine Model 53 you’ll need to get out the attachments. I recently started using and storing all my attachments in the SteamMachine Storage Organizer. It’s been a much more convenient way to keep things organized, rather than throwing everything in a box. 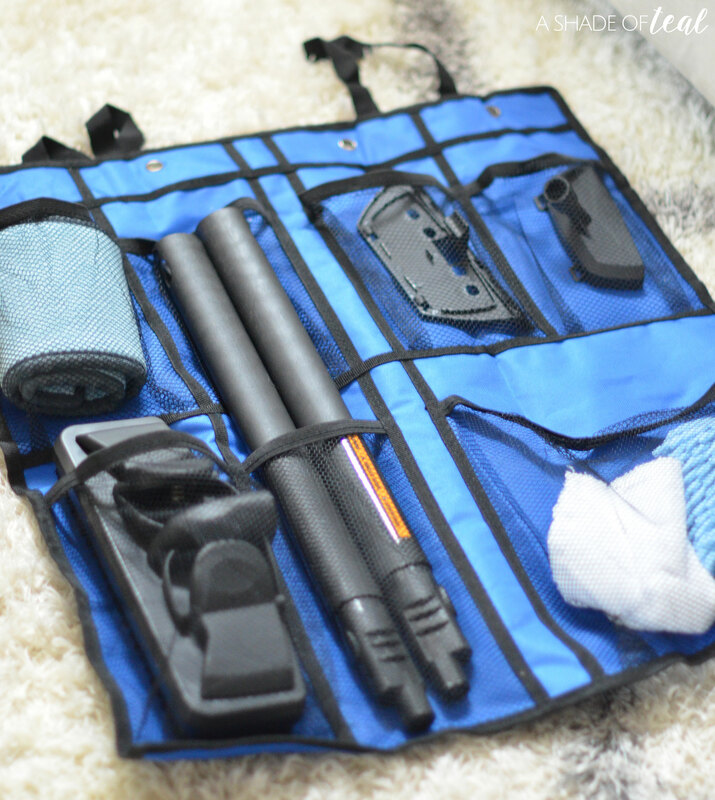 Plus, you have the choice of rolling up the organizer or to hang it over a door when storing it. 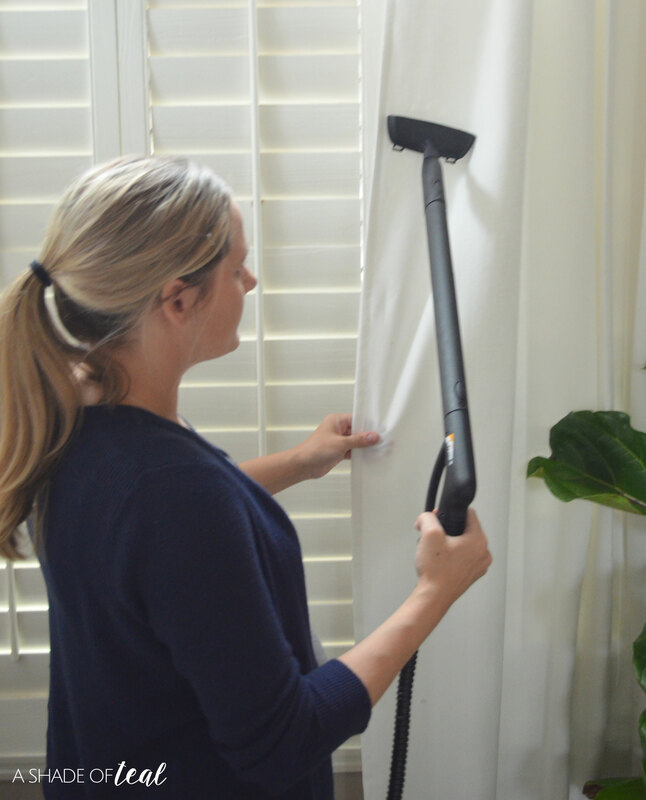 For steam cleaning curtains you’ll need the Fabric Steamer attachment and the extension wands or poles if you have tall curtains like mine. Once you have the attachment’s on, fill up the machine with distilled water and let it warm up. 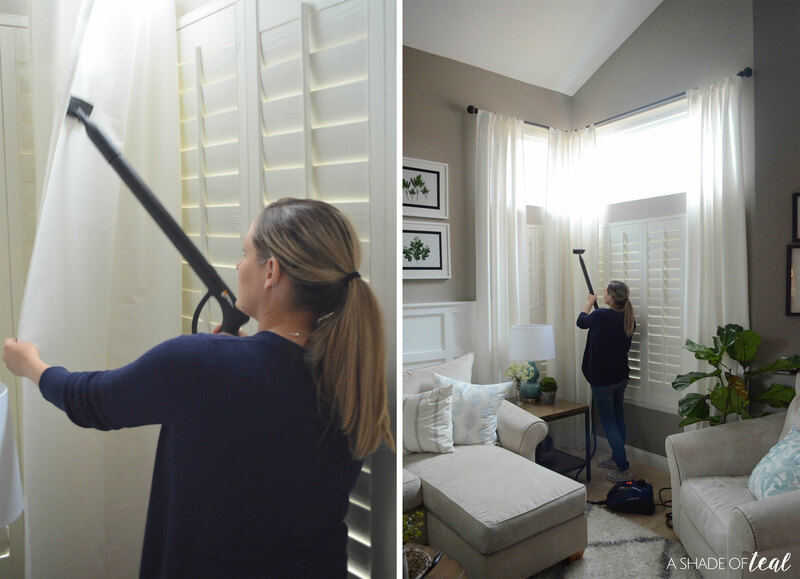 Cleaning the curtains is as easy as waving the wand over the curtains. 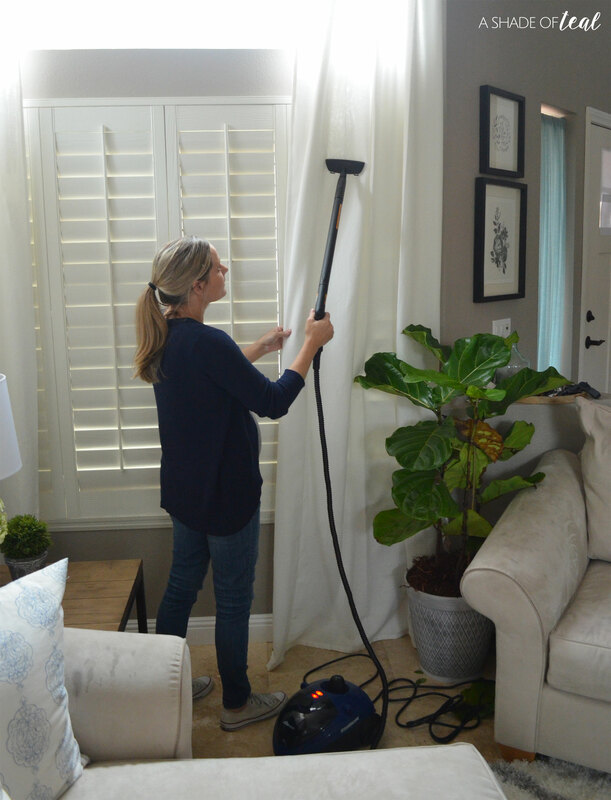 The SteamMachine Model 53 from HomeRight it the perfect cleaning tool. Not only does it sanitize, it also it also remove’s wrinkles, making your curtains feel and look brand new! 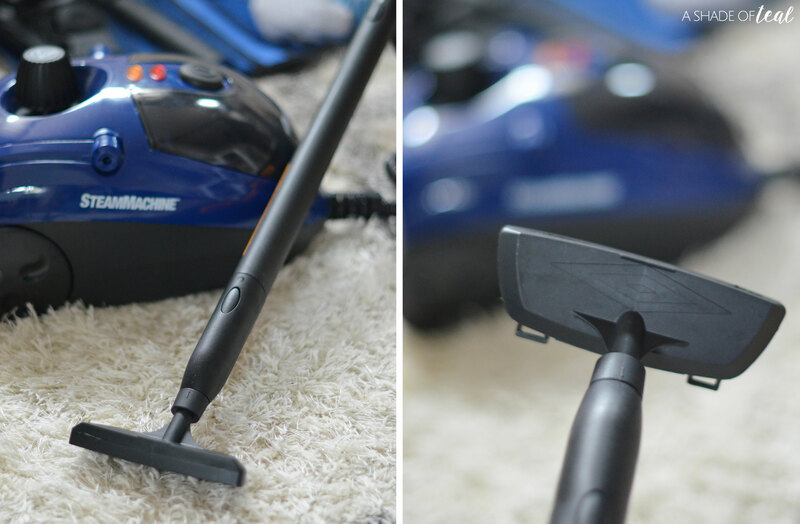 Spring cleaning may not be fun for all, but with a tool like the SteamMachine, it sure helps! 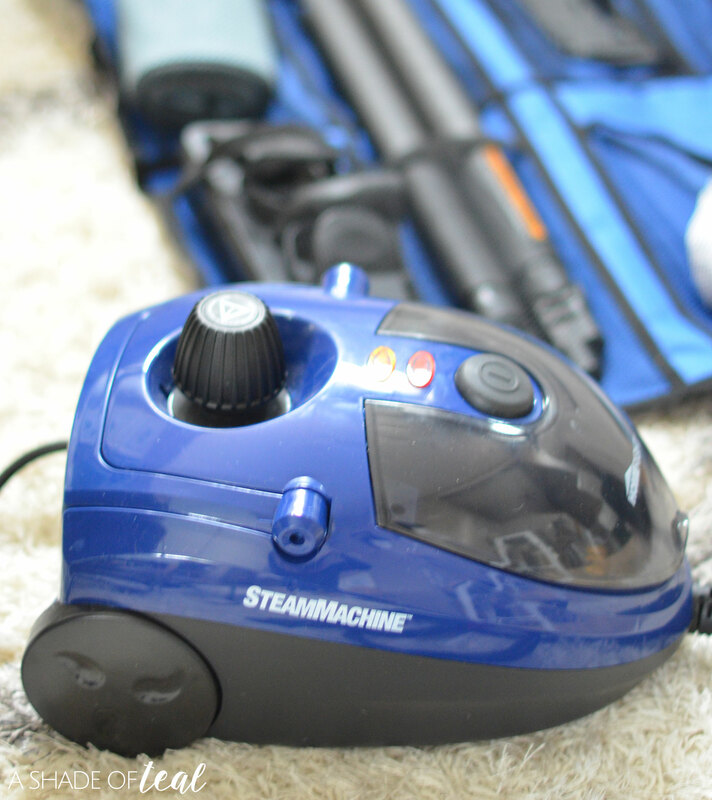 To see more on how to use the SteamMachine Model 53 head on over to HomeRight’s DIY Blog where I share in detail how to use it. « First Overnight Stay? Make Baby’s Bedtime Routine Easy!